Firefox wants to be more than just your preferred web browser. The folks at Mozilla are working on a full-fledged mobile operating system, the debut of which might be closer than we think. We've already seen the platform in action on a smartphone and screenshots of it have been made public, taken using the Firefox OS emulator. Information regarding actual devices, however, has been scarce to this point, but we now know that at least one major manufacturer is serious about Firefox OS – ZTE. The Chinese company announced its plans to launch a Firefox OS-based smartphone in Europe in partnership with a yet-unspecified wireless carrier. A launch of such a handset on the U.S. market is also being evaluated, although nothing is certain at this point. But if you're hoping to see high-end Firefox OS smartphones loaded with premium features, then you are most likely in for a disappointment. The HTML5-based operating system is intended to run on entry-level and mid-range handsets – handsets that may cost about as much as some feature phones. Currently it is known that Qualcomm – the maker of the Snapdragon chip family, will supply silicon for the upcoming Firefox OS smartphones. 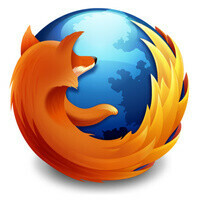 ZTE intends to launch a Firefox OS smartphone in Europe before the end of 2013. The potential of Mozilla's alternative mobile platform is unclear, although some analysts predict it might gain 1% market share on a global scale. and what about balveer pashaaaa.! All these phones will become big "TamAsha"
Go Firefox Make some Noice!! !